For the last few years, it has been my mission to read through as many Japanese books about anime as possible, with special concentration on personal testimonies from the animators themselves. And I have been annotating as I go. For some reason, many of the people who write books about anime are allergic to indices, so I have been writing my own, of dozens upon dozens of memoirs and biographies, in order to build up a picture of the way the anime business looks to the people who actually work in it. The concordance is currently at 230 typed pages, although I think it will hit 300 before I am done. The work has functioned as a sort of audit of what people think they know about the business they work in, and has allowed me to chart several memes and misconceptions from their birth through to their establishment as industry lore. And so my neck-deep wade through Japanese-language books on anime has continued, most recently with the NTT collection of scholarly essays Anime in Transition (or Anime Across Borders? or Anime Transnational?). 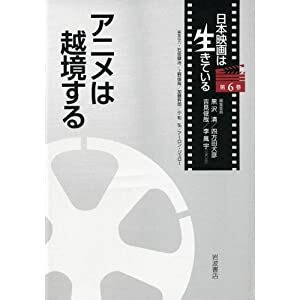 The book is something of a landmark, forming an entire volume of the eight-part Japanese Film is Alive series from Iwanami Shoten, and hence perhaps redeeming anime as just as reasonable a field of study as, say, documentary, performance or audience. Notably, however, five of the eleven chapters in the book are written by foreign authors, with the likes of Marc Steinberg, Thomas Lamarre and Hu Tze-yue providing commentary and perspectives that the Japanese seem unwilling or unable to provide themselves. Is Japanese academia on animation really that lacking in local heroes, or is this a form of auto-orientalism, with the Japanese lapping up foreign attention as a means of validating their own interests in such an unlikely, unloved field as animation studies? I’d believe it if NTT Shuppan had not answered within the year with an all-Japanese collection. 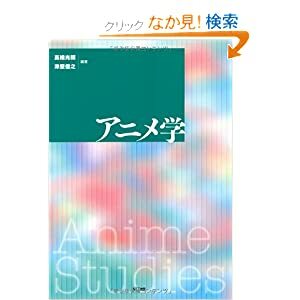 There is no question about the anime book of the year 2011 — that award surely goes to Anime Studies, edited by Mitsuteru Takahashi and the omnipresent Nobuyuki Tsugata. Anime Studies contains ten chapters of detailed commentary on many interesting areas in the anime field, including education, intellectual property and national animation policy. The authors include academics, but also producers and directors, most notably with a chunky section from Ryosuke Takahashi about Tezuka’s anime “revolution”. Anime Studies is the book to which I wish every Western scholar had access, laden with charts and diagrams explaining the way that modern anime works, but also with informed references to peripheral areas, and, that greatest rarity in books on anime, a functional index. Anime directors continued to be feted with studies and analysis, notably in books about Kenji Kamiyama and the journeyman director Keiichi Hara, now enjoying a new-found fame thanks to his breakout feature Colorful. This has also been a good year for books that analyse anime from the perspective of a producer or manager. Six years after he penned a guide to the anime business, Hiromichi Masuda writes an all-new account of the same subject, incorporating the wild ride of changes since the 2006 production peak. Meanwhile, Kinema Junpo jumps on the bandwagon with books on the below-the-line squabbles that get anime made in the first place including How to Make a Hit “Mundane” Anime and On the Job of the Anime Producer. Meanwhile, Yuichiro Oguro publishes the long-awaited second volume of his Anime Creator Interviews, collating material originally run in Animage at the beginning of the last decade. You’ll notice, perhaps, that many of the books have dully typographical covers. In a country where Japanese studios will often charge magazines even for illustrations used to accompany rave reviews, the studios are often their own worst enemies when it comes to picture sourcing. 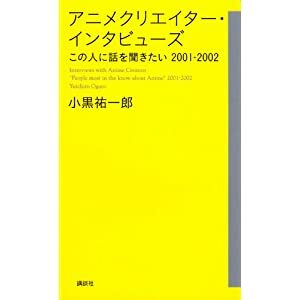 I am pleased to note that the current crop of Japanese academics and scholars have simply given up playing the studios’ game, and instead published the texts that they want to publish, without bending over for outrageous fees or assenting to textual tampering — here’s a hello to the idiot who tried to get us to lie about the production details of his company’s movie in the Anime Encyclopedia, and who tried to use image access as the lure to make us cooperate. Anime is, assuredly, a visual medium, but I would much rather have good books published without pictures than see compromised picture-books, defanged of all their interesting content. There is still a good deal of pretension awash in the anime field. Ani Kuri 15 DVD x Material is an infuriatingly packaged book of interviews and storyboards from the short series of NHK commercials made to order by creatives including the late Satoshi Kon, as well as Yasufumi Soejima and Shinji Kimura. Which is all very well, but it comes with a tight yet flimsy paper wraparound that is sure to tear after a single use, and includes an origami robot by way of apology. Other books I’ve read this year have included Yuka Minakawa’s two-volume account of the “rise and fall” of Tezuka’s Mushi Production, although the fall is bundled into the final few pages. 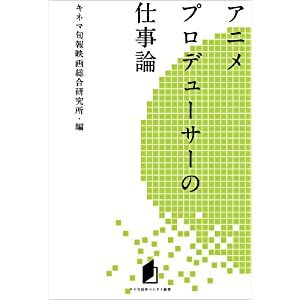 Like Eiichi Yamamoto’s much-cited 1989 Rise & Fall of Mushi Pro, the book is presented in fictionalised form, although Minakawa presents detailed references, usually to DVD sleeve-note interviews and other ephemera that might elude the more traditional scholar. 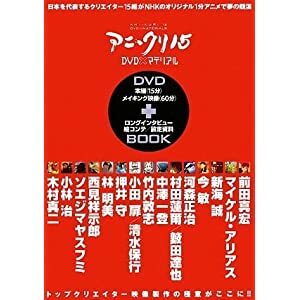 I also found much of interest in Makoto Misono’s 1999 Complete Book of TV Animation, a forerunner of the Anime Studies collection that diligently attempted to create an institutional memory for television cartoons more than a decade ago. I think I bought it when working on the first edition of the Anime Encyclopedia, but I haven’t properly gone through it till now. I also stumbled across Masaki Tsuji’s long out-of-print The Youth of TV Anime, a memoir of the 1960s and 1970s by the scriptwriter of, among other things, Astro Boy, Star of the Giants and Sazae-san. It’s the last that interests me in particular, since the studio that made Sazae-san has never really had to try since. Go on: see if you can name it without opening a book or another window. It’s not all that famous, despite making Japan’s highest-rated and longest-running cartoon. Whereas other studios have to push and flash and bluster to get attention, the studio that makes Sazae-san just motors along on a job that is essentially below-the-line… certainly below the notice of many foreign fans. In this periodic round-up, which I have previously run in 2010 and 2009, it’s usually my habit to talk about the English-language books on anime that come my way. In many cases this year, I have already reviewed them elsewhere, such as this piece on the excellent Ladd and Deneroff memoir of early anime in America. I’ve also written a glowing review of Iwao Takamoto’s autobiography, but that won’t appear until later in 2012. In others, I simply haven’t got round to them, since the Japanese-language books are prioritised ahead of them. In a couple of others, I have read them, although they were so awful that I cannot bring myself to even name them. One was an academic account so up itself as to be entirely impenetrable, including an interview with a Japanese creator who actually tells the author to piss off and talk to someone else. The other was a seemingly self-published witter about divinity in anime, by a man who couldn’t even spell Wikipedia, even as he cited it. It’s taken me a while to get to Astro Boy and Anime Come to the Americas, thanks largely to a £30 cover price. But I got there in the end, and my review of it is now up on the Manga UK blog. It’s great to have such solid information from Fred Ladd about the first ten years of the anime localising business, although I can live without the latter half of the book and its vague hand-waving about what happened next. That said, it’s still worth every penny, if only for the 100 pages of golden testimony about the way in which Japanese cartoons were treated in the TV industry of the 1960s and early 1970s.